Are you ready for another SM 3-Day SALE this weekend? 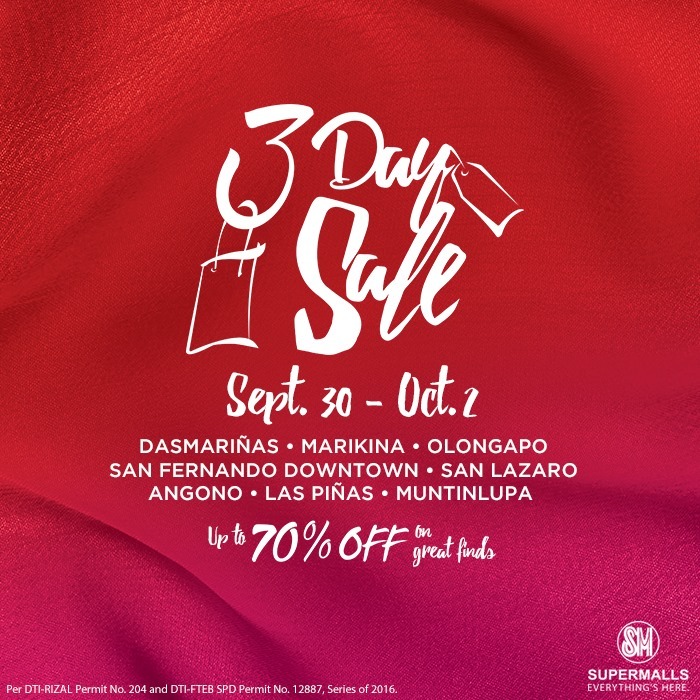 Check out SM Aura Premier, SM San Lazaro, SM City Marikina, SM City Dasmarinas, SM San Fernando Downtown, SM Muntinlupa, SM Center Las Pinas, SM Angono, and SM Olongapo 3-day SALE on September 30 to October 2, 2016. 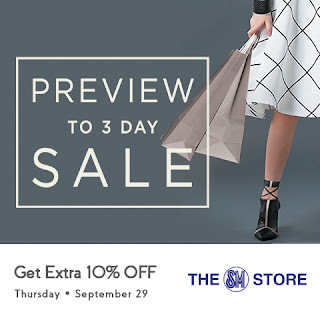 Get special deals and discounts up to 70% OFF on selected items! 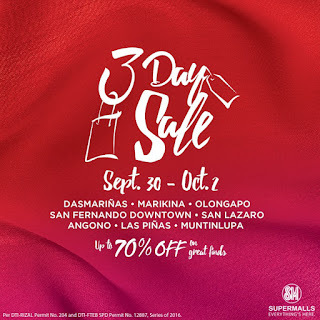 SM Prestige, BDO Diamond and Sapphire Rewards members get the first dibs, and an extra 10% OFF during the SM Prestige Preview to 3 Day Sale on Thursday, September 29, 2016 when you shop at The SM Store and at these select SM Retail partners at SM Aura Premier, SM Marikina, SM Dasmariñas, and SM San Lazaro.